While it’s important for colleagues to work well together in the office, employee relationships are often strengthened outside of the traditional work environment. Nowadays, an increasing number of organizations are offering corporate happy hours as a way to strengthen collaboration over cocktails. Here are just a few benefits of getting your departments together for drinks after work. Team building activities remove employees from the deadlines of the workplace to facilitate genuine bonding. These bonds continue into the office for enhanced communication, a greater understanding of personality differences, and improved teamwork. While there are many types of team building activities to consider, corporate happy hour is a cost-effective and fun way for employees to unwind together without any competitive pressure. If your department has recently achieved a milestone or a specific employee has performed in a way worth celebrating, there’s no better way to show your praise and appreciation than by inviting everyone out for cocktails. Celebrating wins allows employees to see you truly value their contributions, which will motivate them to continue succeeding in the future. An organization with a strong company culture is positioned to perform better in terms of securing talent and achieving business goals. When employees connect outside of the office, they strengthen their bonds, and therefore form a stronger company culture. Moreover, when colleagues engage with one another without any work-related pressures, they may be more likely to associate their work life with positivity, which will make them more inclined to give their best every day. 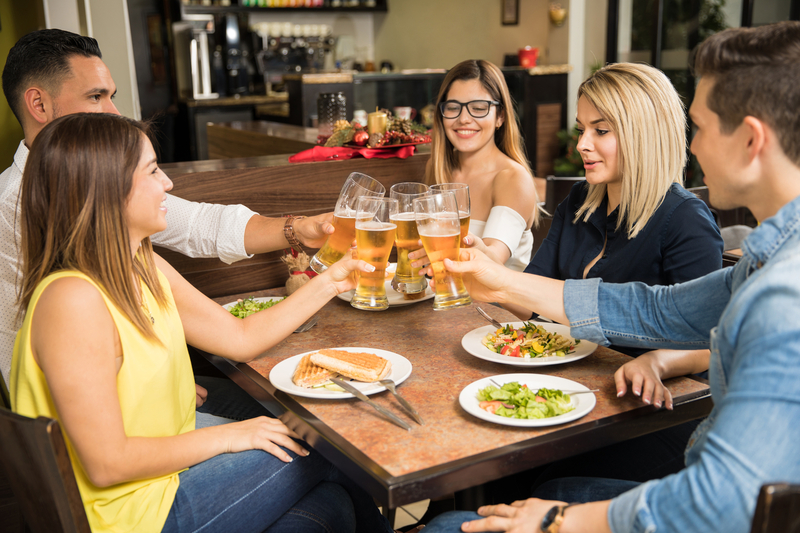 If your business is located in Honolulu and you’re seeking a convenient destination for your company’s happy hour, turn to Ruby Tuesday Hawaii. With an array of beers, wines, cocktails, and tantalizing happy hour snacks, this restaurant has everything you need to enjoy a relaxed yet rewarding gathering among colleagues. Browse their full menu online, or call (808) 422-8585 to make a reservation.